Exclusif M.B. Mercedes Service Center - Centre Exclusif M.B. Inc.
We are Leaders in Servicing Mercedes. Since 1983 Centre Exclusif M.B. has been specializing in maintaining and repairing Mercedes, Volvo, BMW, Audi and Volkswagen automobiles. As a independent full service automotive repair shop we cover all the bases from oil changes to tune ups, brakes, tires, mufflers, electronics, air conditioning service, and scheduled maintenance according to the manufacturers specifications. Our technicians hold professional automotive certifications and use the latest diagnostic technology. 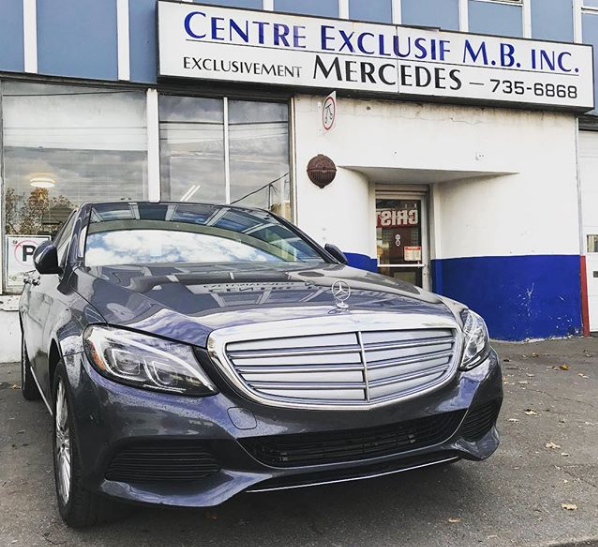 We use all original as well as refurbished parts and since 1983 have been providing knowledge and expertise to our large customer base as well as dealerships and automotive shops around Montreal. Our business is built on service, trust and value for our customers. Complimentary 21 point vehicle inspection for NEW customers. One coupon per visit. Not valid with other offers or specials. Print this page and present it in advance. Our Principles: Safety. Service. Value. Trust. "I took my 2011 Mercedes E320 to Exlusif M.B. due to vibration every time I'm making a turn. I met with Richard and he after running a diagnostic told me what needs to be done. My Benz was finished in timely manner and now runs great. I would highly recommend them and use their service again." Steve M.
Centre Exclusif M.B. Inc. is an independent service center and is not affiliated or in no way connected not attempts in any connection to the "Mercedes Benz" trademarks. "Mercedes-Benz" is a trademark of Daimler AG. This site is in no way affiliated with, sponsored by, nor authorized by Daimler AG​, Daimler-Benz, Mercedes Benz, AMG, or Mercedes Benz of North America or any other international division or one of its associated companies. The words Mercedes Benz are solely are used to identify a make of automobiles and do not imply or indicate any affiliation or relation of this website with the manufacturer or their distributor.